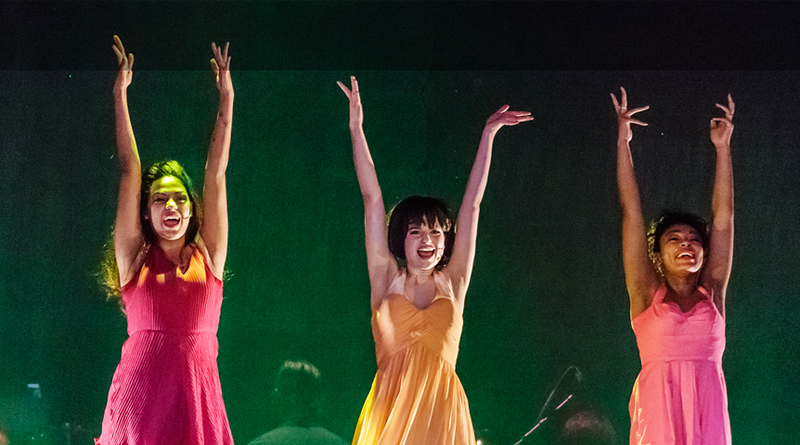 The Musical Theatre Program is designed to train actors in a wide range of skills, techniques and experiences that provide a broad overview of theatrical performance, practice, history and literature. The overall arc of the program is to begin by establishing a foundation in the first year, moving into progressively more challenging work in years two and three, and finally exploring each student’s unique artistic voice in the final year. The end goal is to provide a high level of instruction and experiences that prepare students for further study at the college level or entrance into the profession. Using improvisation as a basis for the fall semester, students will explore a connection to the self and their ensemble. They will begin with exercises and techniques developed by Viola Spolin to explore and heighten their connection to sensory life, environment and relationship in order to develop their creativity, imagination and understanding of human behavior. They also will develop skills related to scenic objectives, listening, impulse, problem solving, physical and verbal communication and given circumstances. Building on the work of the fall, students will begin to work with text (existing and self-generated) such as monologues and Story Theatre in the spring semester. They will be expected to take all the skills they have developed in the first half of the year and to apply them to the text. Performance Requirements: Freshman Preview (Fall), Musical Theatre Curtain Call (Spring). This course introduces students to treble and bass clefs, rhythmic notation, simple meters, intervals, the construction of major and minor scales, key signatures, and triads. Aural recognition of these musical elements also will be a significant component of this course. Students further develop their music theory skills through application on the piano. Dance II is a beginning-intermediate level jazz and classical ballet class with a higher emphasis on classical ballet. Class will consist of either jazz warm-up or classical ballet barre, strengthening exercises, across the floor exercises and musical theater inspired combinations. This class is designed to benefit dancers of various levels ranging from beginning to advance dance student and it builds upon the foundation and the vocabulary learned from the previous year. Emphasis will be on developing body alignment, clarity of movement, musicality, personal artistic growth, and performance. An acting class that focuses on non-musical theatre repertoire for monologues and scenes, including analysis, objectives, tactics, given circumstances, and sense memory. This class is a survey of Western musical theatrical history, drama and practices from late 19th century through modern day. Students will study the social, political, cultural and historical influences of each period to understand the context in which theatre was created. Likewise, they will explore the means by which theatre was produced and practiced including theatre companies, acting styles, design and architecture. They also will study the musical theatre literature of each period including a critical analysis of each text. A continuation of the previous year’s study with an integration of techniques from tap, world dance, and hip hop dance. Theatrical Stagecraft will provide students with an overview of the theatrical production process with an emphasis on exploring the various components and responsibilities associated with production, theatrical organizations and the fundamental skills required for serving on a stage crew (sets, lights, costumes, sound, props and make-up). A continuation of the work begun in Theatrical Stagecraft, the emphasis of this course is on the various design elements of production (scenery, costumes, lighting, sound and props) and the process of creating a design based on a theatrical text. Preparation for college auditions and/or entrance into the profession including an overview of the business of musical theatre performance and audition preparation. Dance IV is a study in a hybrid of techniques including ballet, jazz, tap, contemporary, and dance composition. The primary focus for this course is to increase strength, coordination, and technical proficiency by building upon what has been learned in previous years. College and professional audition prep is a high focus in the first semester. Students will be given tools to aid them in the creation of their Senior Project Musical through a unit on dance composition. Also students will obtain the basics of a tap and contemporary dance class. At the completion of this course students should, consequently, exhibit notable growth and change in their physical coordination, conditioning, movement articulation, alignment, dance terminology, self-confidence, musicality, and performance skills. Further exploration of vocal music techniques including repertoire from contemporary popular music. Scene study work of 20th and 21st century works with an emphasis on works by contemporary playwrights with unique artistic voices. Students must achieve at least a D in every Conservatory course every semester or they are in jeopardy of repeating the ENTIRE YEAR’S Conservatory sequence in the following year. This may result in a student not graduating on time.